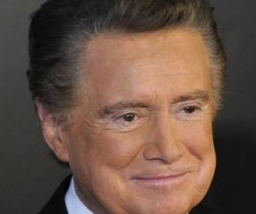 Regis Philbin left “Live!” with a huge bang after thirty years on-air — but don’t expect that to be the end of his television career. The beloved host, who is now 80, has his sights set on hosting a primetime talent show. The show biz veteran has always maintained that his departure from “Live!” was farewell, but not goodbye. He reportedly explored a number of possibilities, including reality television, for his next move. But he cleared up rumors about a potential reality show in October, and has also dissed the genre. Philbin called his exit from his morning show “all business,” chalking it up to unfavorable terms. The host has been notably pragmatic about the departure. He told the New York Post that Katie Couric owes him $10 after betting that he would cry on his last day (he didn’t).